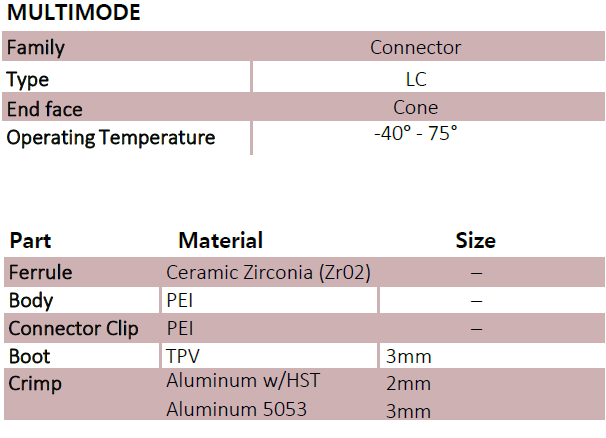 Precision Fiber Products manufactures LC multimode connectors. They come in a variety of ID bore sizes and performance types. Accommodates 2mm and 3mm fiber types.